Assistance provided at your arrival to Lima International Airport and transfer to your Hotel. There you will receive a briefing on your tour; receive vouchers covering all the services included in your tour and additional information on the organization of your Peru trip. Morning transfer to Lima airport to take your flight to Cusco. Meet upon arrival and transfer to your selected hotel. Rest and adapt to altitude. In the afternoon, we will visit the City of Cusco on a 4-hour guided sightseeing tour visiting the Main Square, the Cathedral and the Temple of the Sun or Korikancha. Then, we drive out of the City to visit the Inca sites of Kenko, Tambomachay, Puca Pucara and the impressive Fortress of Sacsayhuaman, strategically built on a hill overlooking Cusco, famous for its enormous carved stones, some of them standing over 9 m / 30 ft high and weighing over 350 tons. Morning bus excursion to the Urubamba Valley, the Sacred Valley of the Incas. Visit to the picturesque Indian Pisac Market held on Tuesdays, Thursdays and Sundays, the shopping paradise of the Andes where barter is still practiced. Enjoy the unique atmosphere during a typical lunch. In the afternoon, passing through the Towns of Calca and Urubamba, we visit the Inca Fortress and Citadel of Ollantaytambo, built to guard the entrance to this part of the Valley, and protect it from possible invasion from the tribes in the Lower jungle. You can walk through the quaint streets of the nearby Town, and get a good idea of what this Strategic Military, Religious, and Agricultural Centre was like during the era of the Inca Empire. Overnight in the Sacred Valley. The day starts with an early morning rise to transfer to Ollantaytambo train station for a train journey to the famous Inca Citadel of Machu Picchu ,also known as “The Lost City of the Incas”. Arrive at Aguas Calientes station followed by a 30-minute bus drive, climbing 6km of winding road, to the incredible Machu Picchu. Upon arrival, we’ll participate in a guided tour of the Citadel, visiting the Main Plaza, the Circular Tower, the Sacred Sun Dial, the Royal Quarters, the Temple of the Three Windows and various burial grounds. After the tour you will have time to stroll around the archaeological site at your leisure. Lunch at a local restaurant in Aguas Calientes Town. Overnight at Hotel in Aguas Calientes. *Note : When operational or technical reasons obligate the Train Operator to relocate the clients onto the Sacred Valley-Aguas Calientes train service, Best Peru Tours will provide all transfers needed to the train station in the Sacred Valley in order to board the train to Aguas Calientes. Leisurely breakfast. Excellent opportunity to wake up early and enjoy with a beautiful sunrise as well as stroll by the Town of Aguas Calientes and visit its Hot Springs Thermal waters or you may enjoy some of the following activities: (not included in the overall tour price. ADDITIONAL $110 PER PERSON). 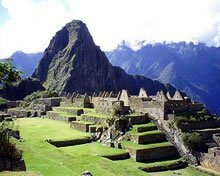 Visit the Citadel of Machu Picchu for the second time. For the most adventurous people, we suggest to go up the Huayna Picchu (if it is not raining) from where you can appreciate the immensity of Machu Picchu, even more amazing being high and distant. Arriving at the top takes about two hours and a half and it must be before 13:00 hours. It is necessary to register in a office at the beginning of the trail. An exciting adventure for the travellers who want to see, from the top, the nature and the carved stone emerging from the ground as a geological miracle Meals Included: Breakfast at hotel. Return train to Cusco. 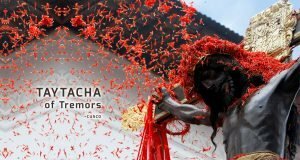 At a convenient time, transfer to Cusco Airport to take your flight to Lima. Optional Dinner Show in Cusco at Inka Wall Restaurant US$25. Please ask about additional tours. 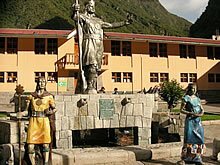 Optional overnight in the sacred Valley US$50 per person based on double occupancy.